This wasn’t great. Whenever Dana Brooke had control (which was more than half of the match), the match dragged. Alicia Fox brought the energy up when she took control. The wasn’t super exciting, but I liked the outcome. From RAW, Paul Heyman got speared by Goldberg. Clips from the Women’s Title Hell in a Cell match and Charlotte calling out Bayley on RAW. Also clips from Bayley vs Nia Jax from RAW. This was okay. Axel brought a lot of energy to last part of the match. From RAW, Owens and Jericho gloat after Hell in a Cell. From RAW, Chris Jericho challenged Roman Reigns for the US Title. This wasn’t a great show. 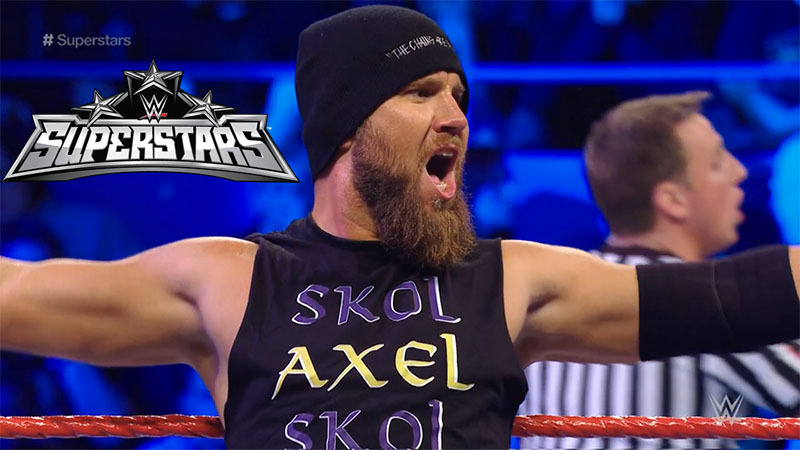 Pretty forgettable if not for Curtis Axel getting a rare victory. It wasn’t great, but it was the better match of the night.